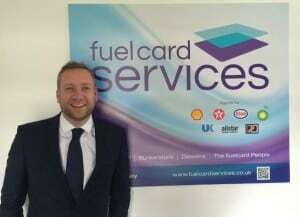 Fuel Card Services has appointed Russ Kenyon as Head of Group Sales, as part of its strategy to continue the exciting growth of recent years. Based in Leeds, he will oversee customer sales and retention for Fuel Card Services, The Fuelcard People, Dieselink and Bunkercard. Russ Kenyon, who lives in Leeds with his wife and two sons, is a keen follower of Sheffield Wednesday. He also has an active involvement in football at grass roots level, coaching the Guiseley under-8 team. In any remaining free time, he works towards reducing his golf handicap from its current nine.